Less than two years ago, Isaiah Thomas was widely considered as one of the NBA's most valuable point guards. Despite his slender 5'9 frame, Thomas managed to successfully build a career around his strengths rather than his shortcomings, and during the 16/17 season, he averaged 28.9 points per night. Thomas' performances also earned him fifth place in the 2017 MVP voting, although he soon found himself traded to the Cleveland Cavaliers, and his career has since been derailed by a series of persistent injuries over the last 16 months. 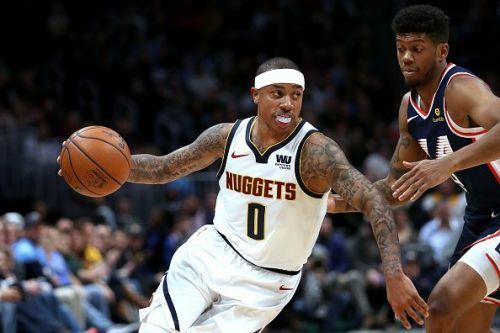 Thomas joined the Denver Nuggets last summer, although after only making his debut in February, reports have suggested that Thomas will now be used sparingly going forward. 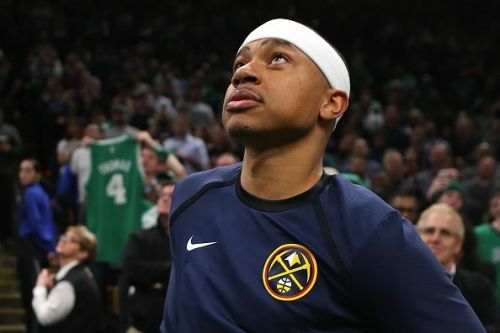 Due to this, Thomas appears to have no future with the Nuggets beyond the summer, and here we will look at three reasons why he may be a good fit for the Oklahoma City Thunder. Thomas' injury issues started to mount towards the end of the 16/17 season, and despite bravely fighting on for much of the postseason, a hip injury eventually forced him out of the playoffs. In the following months, he was traded to Cleveland, although the Cavs' medical staff immediately realized that Thomas was dealing with a serious injury. It wasn't until nearly a year later that Thomas finally underwent surgery, and his hip operation would keep him out for a further 10 months. However, Thomas has recently returned to the court, and he has looked sharp during his limited minutes playing for the Nuggets. Thanks to being seemingly injury-free, Thomas is now undoubtedly a much more attractive signing than he was last summer, and there is no reason why he couldn't average 15 minutes per game from the Thunder's bench next season.